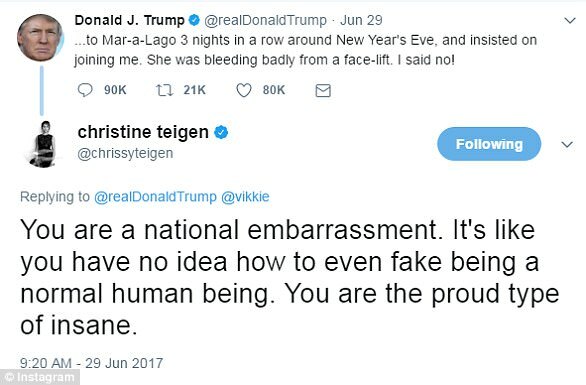 Take a bow, Chrissy Teigen. 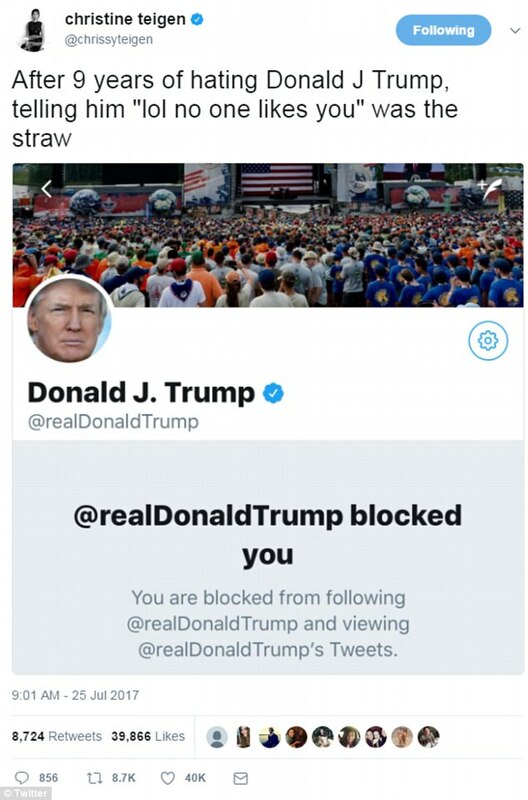 You’ve finally pissed off President Donald Trump to the point that he has blocked you on Twitter. 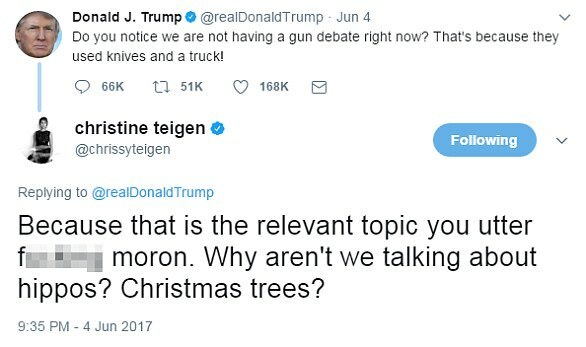 Teigen, of course, is a model, Lip Sync Battle co-host and social media humorist, and she tweeted Tuesday that Trump has blocked her on the microblogging platform. 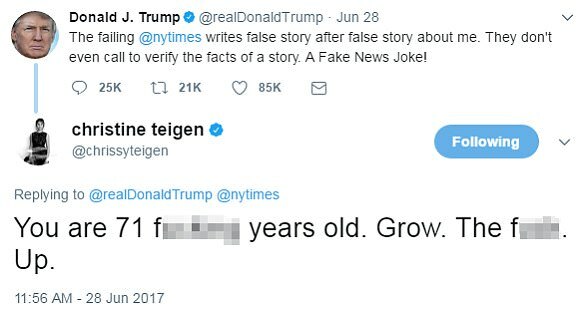 The president has been flexing his muscles over the block button fairly liberally since entering politics, but what makes this latest move most noteworthy is that Teigen has been trolling Trump for, as she puts it, “nine years.” That’s before it became the cool thing to do. You’ve had a good run, Chrissy. 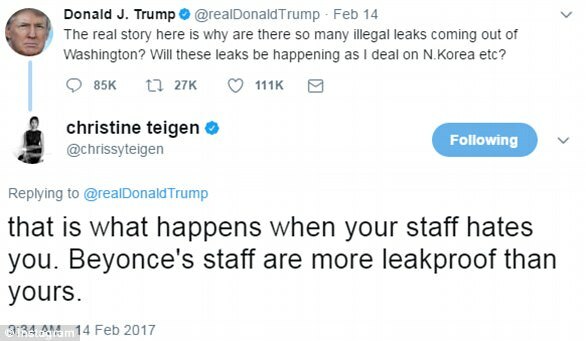 Speaking to USA Today in February, Teigen said she has "actually been a big Donald Trump hater [for a long time]. I've been trolling him for about five to seven years now. I've been doing this forever, and I take pride in that." 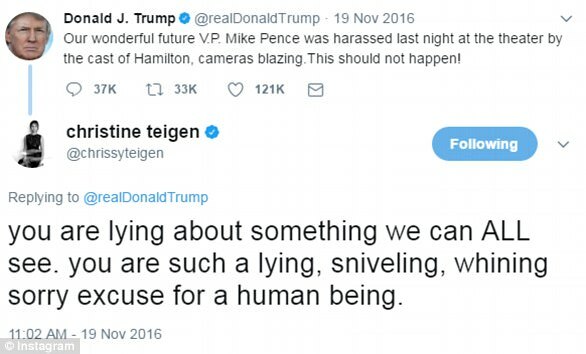 The first notable instance of Teigen tweeting about Trump was in March 2011, when she expressed excitement at attending the Comedy Central taping of Roast of Donald Trump, a comedic show where popular entertainers skewered the then-businessman and Apprentice star. 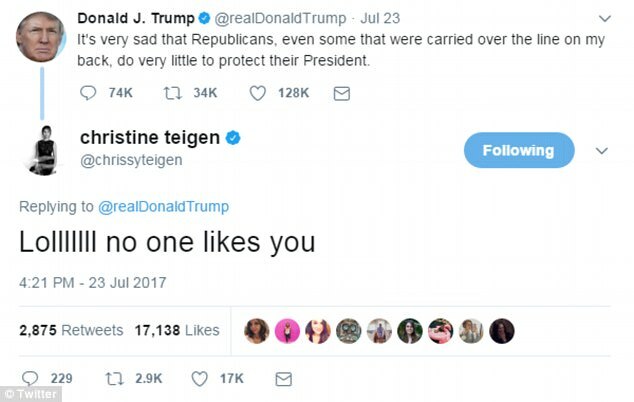 Chrissy Teigen has made her negative opinion of Trump known on Twitter. 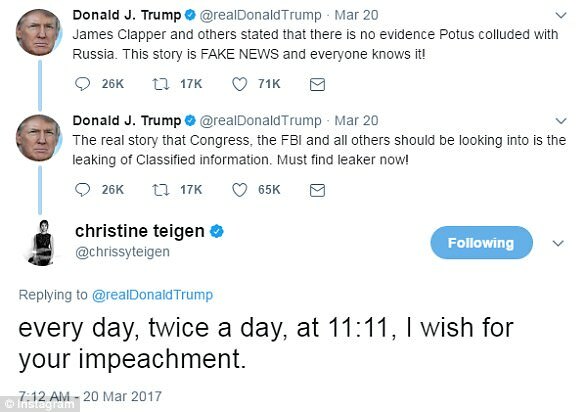 Here are just a few of her tweets referencing the mogul-turned-president.